Now hold on a minute here... in according to the doctrine of the Trinity, God the Father and God the Son are the same God, yet the Father knows something the Son doesn't? What's going on here? In short, Jesus gave up the perks of being God in order to identify with humanity. Does Christ have one united nature (miaphysitism; held by Oriental Orthodox), or two distinct natures (dyophysitism, as per Chalcedon)? Does Christ have one will (monothelitism), or two (the view of the Third Council of Constantinople (680–681))? What kind of connection exists between Christ's human nature and his divine nature, or, put another way, in what sense did he "empty himself" (Phil. 2:7)? Catholicism: Christ, through the incarnation, has much divine knowledge, but not elements (like this one) that are irrelevant to his ministry. Reformed theology: The development of Christ's knowledge largely parallels that of a normal human's, because he does not will to obtain more divine knowledge than is needed – such as the date of his return. Kenotic theology: Christ divests himself of omniscience in the incarnation, so this knowledge is not available to him. Christ enjoyed in his human knowledge the fullness of understanding of the eternal plans he had come to reveal. What he admitted to not knowing in this area, he elsewhere declared himself not sent to reveal. The Greek word kenosis is crucial to this question, as it comes from Philippians 2:7, where Jesus is said to "empty himself" in the incarnation. Thus in a sense all trinitarians believe in some form of "kenosis," but not in the same way. Modern Kenotic theology, first developed in the late 19th century, is a new approach that in only some of its varieties attempts to stay within trinitarian orthodoxy. Thus in this view it becomes obvious that Christ couldn't know the date of his return, but at the same time its proponents face the criticism that they have denied the full divinity of Christ. In Catholicism, Christ has all relevant divine knowledge in his person by virtue of the incarnation itself. In Reformed theology, Christ's incarnation with two natures means that in his person he has access to divine knowledge, if it be God's will, but generally his knowledge develops normally. In Kenotic theology, Christ's incarnation involves a loss or rejection of divine knowledge, so in his person he does not have access to it. Thus we see that this matter, like many others dealing with the trinity, is much debated, even among trinitarians! Christ did not “pretend” to be not God but rather, he chose to not use his Godhead. He literally became similar to his brethren in every way ( Hebrews 2:17) for he became similar to men ( Philippians 2:7), he was sent similar to sinful flesh ( Romans 8:3). It is true that he does not know the day and the hour ( Mark 13:32) and it is equally true that all knowledge is hidden in him and as to why is this so-- it is because Christ unclothed himself of his deity based in Phil. 2:6-7. To unclothe means: 1) to remove a cloth from one's self - denotation 2) to not use what you own - connotation. It is clear that Christ existed in God's form and that he is still existing in God's form even when he is on earth [Notice the Greek word " HUPARCHON" used]. The fact that it still exists proves that the unclothing act only means to not use what he own. He just unclothed it and as to how he did unclothe it is by choosing to take on the form of a slave. Jesus really became a true slave for he does not know what the Father knows ( Mark 13:32,Acts 1:7). The incarnate Son became a real human, he took on real human flesh and blood and lived a real human life ( John 1:1, 14, Hebrews 2:14). He did not pretend to be a human but rather, he truly became what he was not (i.e. human) and retained what he was (i.e. God). His very "kenosis" or unclothing of his deity i.e. choice of not using his Godhead is an act as opposed to "empty-glory" ( Philippians 2:3). Mark 13:32 does not disproved the godhood of Jesus Christ. It is not a good idea to use a single verse in isolation just to come up with a doctrine that contradicts other scripture. A text without a context is a pretext. Once the Scripture as a whole is consulted, it becomes clear that Mark 13:32 does not teach that the Son is not omniscient but rather, it only means that he has a real human mind for he truly took on real human nature. Or put another way: Did Jesus know the day and the hour of the Apocalypse? “However, no one knows the day or hour when these things will happen, not even the angels in heaven or the Son himself. Only the Father knows.” (Matthew 24:36 (NLT) and Mark 13:32 (NLT)). How could Jesus have spoken such words and remain part of the Blessed Trinity? Jesus spoke these words through his acquired knowledge in within his sacred humanity. Jesus had to learn many things, like all of us in our human condition, which involves things like reading, writing and the use of tools in working a trade. This question is not to be simply answered. It is not simply something like an the act of emptying oneself or the 'self-emptying' of Jesus' own will and becoming entirely receptive to God's divine will. For the answer is more related to the actual knowledge of Christ in respect to the Trinity than to kenosis. What Christ knew in and what he knew from his humanity? As God, Christ most certainly knew and knows all things without any qualification whatsoever. And, even as man, we affirm that our Savior knew and knows all things – excepting that he does not comprehend the Divine Essence (for such is beyond the powers of the human intellect). However, when we speak of the human knowledge of Christ, we must affirm that his knowledge is of three types: Beatific knowledge, infused knowledge, and acquired knowledge. Beatific knowledge is that by which a creature knows all things in the Word – in the vision of the Divine Essence. Infused knowledge is the divine gift of knowledge, infused directly and without any assistance from the senses. Finally, acquired knowledge is that which is gained through sense experience. Of these, only acquired knowledge is proper to human nature unaided by grace. Now Christ our God knew the day and hour of the Second Coming in his divine intellect. Moreover, even in his humanity, our Lord knew the time of the Parousia – according to both beatific knowledge and infused knowledge. However, the Savior did not know the time of the Final Judgment through sense experience and, hence, it was not part of his acquired knowledge. Thus, when Jesus says that he does not know the day or the hour, we must understand him to mean that he does not know the time from his humanity – i.e. he does not know it from acquired knowledge through sense experience. Nevertheless, he most certainly did and does know the day and the hour in his humanity – i.e. he knows it in his human intellect through both beatific and infused knowledge. Hence, the Good Lord does not lie, nor even deceive, when he says that he does not know the day or the hour of the Final Judgment – he only means to tell us that he knows it not from his humanity. - Did Jesus know the day and the hour of the Apocalypse? Jesus had to learn many things, like all those living in our human condition, which involves things like reading, writing and the use of tools in working a trade. All these types of learning involves the use of our physical senses do they not! It is difficult to make speculation on this verse and best choice would be to take it as beyond human understanding. This is more so because God is beyond our understanding and if we could understand Him than God would not be God but like one of us. Same is true of Jesus. In Christianity there are those things which are closely connected to Godhead and therefore they are difficult to fully understand with human mind. Other example is Trinity. There are no such riddles, which are beyond human understanding in other faiths as they are born out of human mind and imagination. Jesus is closely associated with the definition of God as He is the second person of Godhead and that is the reason He is of such a mysterious personality-both in His words and deeds. Jesus being both Divine as well as human, there are declarations from Jesus in Bible verses relating to Himself which are both Divine as well as human. Some would identify such verses in the right perspective but for some it is a dilemma. Jesus frequently said many things that left a clear impression about His "human" nature. Nonetheless, at many other places in Bible, Jesus makes us abundantly clear about His "Divine" nature as well. This was however an indispensable necessity for the promised Messiah-to be both human and Divine- as otherwise His death on cross would have no power to provide salvation for humankind. The verse in question could however be viewed from both these perspective. Like the verse in question, there are other passages, which give an indication about Jesus' human nature. For example, Luke 2:52 indicates that Jesus as a human grew in wisdom; The best option for understanding Mark 13:32 and similar passages is to keep in mind that Jesus is a personality who is unparalleled in the history of this world on account of His Divine as well as human nature. Therefore, it is natural to find references to His both Divine as well as human nature. When this versed is looked from Jesus' divine nature: Depending on the situation and subject of events which He was explaining to His disciples, the Son in his earthly life and ministry had to restrict the dissemination of some of the heavenly information and impart only a limited knowledge of certain things. John 3:12 If I have told you people about earthly things and you don’t believe, how will you believe if I tell you about heavenly things? Here Jesus was explaining Nicodemus about being "born-again" of water and spirit. Unless one experiences this, it is impossible to know and understand what it is. Jesus must have had a tough time in deciding what to say, when to say, how much to say and which one to say, when He was interacting with His disciples and making them aware of the things of this world and of the world to come. So coming back to the verse in question, though Jesus decline to divulge the exact date giving an excuse of sort that only Father knows about it, this could be the restriction on dissemination of His full knowledge to humans. This is too evidently clear because; in the previous several verses prior to this verse, same Jesus has given a clear "running commentary" of sort about the things that would be happening prior to the culmination of that SAID DATE. This question is mind blowing for a Protestant. The muslims are laughing by their explanations. But for an orthodox is very simple and consistent. He makes appeal to a Holy Tradition which has around 2000 years of experience revealed, recorded, tested over centuries by the Church through synods. Can be this compared with a weak understanding of using the power of logic of a single mind which tries connect some excepts, verses, semantics and word etymologies, changed over various translations of the scripture canon along the time? But of that day and hour knows no man, no, not the angels of Heaven, neither the Son, but the Father. By saying, not the angels, He stopped their mouths, that they should not seek to learn what these angels know not; and by saying, neither the Son, forbids them not only to learn, but even to inquire. For in proof that therefore He said this, see after His resurrection, when He saw they had become over curious, how He stopped their mouths more decidedly. For now indeed He has mentioned infallible signs, many and endless; but then He says merely, It is not for you to know times or seasons. And then that they might not say, we are driven to perplexity, we are utterly scorned, we are not held worthy so much as of this, He says, which the Father has put in His own power. And this, because He was exceedingly careful to honor them, and to conceal nothing from them. Therefore He refers it to His Father, both to make the thing awful, and to exclude that of which He had spoken from their inquiry. Since if it be not this, but He is ignorant of it, when will He know it? Will it be together with us? But who would say this? And the Father He knows clearly, even as clearly as He knows the Son; and of the day is He ignorant? Moreover, the Spirit indeed searches even the deep things of God, 1 Corinthians 2:10 and does not He know so much as the time of the judgment? But how He ought to judge He knows, and of the secrets of each He has a full perception; and what is far more common than that, of this could He be ignorant? And how, if all things were made by Him, and without Him was not even one thing made, was He ignorant of the day? For He who made the worlds, it is quite plain that He made the times also; and if the times, even that day. How then is He ignorant of that which He made? And ye, you heretics, who indeed say that you know even His substance, but that the Son not even the day, the Son, who is always in the bosom of the Father; and yet His substance is much greater than the days, even infinitely greater. How then, while assigning to yourselves the greater things, do you not allow even the less to the Son, in whom are hid all the treasures of wisdom and knowledge. Colossians 2:3 But neither do you know what God is in His substance, though ten thousand times ye talk thus madly, neither is the Son ignorant of the day, but is even in full certainty thereof. and the explanations continues with plenty scriptural arguments. The Son has the ability to know but he does not have the authority to know. A classic example of this is found in John 17:2 wherein the Father gave the Son authority to give eternal life which means he has the ability to do so. After his resurrection, he was given all authority to use his divine nature and therefore, he knows both the day and the hour of his own return ( Matthew 28:18). Jesus has power and this power cannot cease.What he doesn't have is the permission or the right to use it because he is the Son of the Father (2 John 1:3).A son is naturally of same nature with his father yet he is also naturally submissive to his father at the same time. Functional Subordination - the Son is not equal to the Father in role, authority and function. Ontological Equality - the Son is equal to the Father in nature. Ability - the quality/state of being able to do something. Nature - a set of attributes, it is what innately belongs to someone. Ancient Arians and modern Jehovah’s Witnesses claim that Christ is not God but a finite creature. They lack bold arguments supporting their opinion. We infer from Bible that Christ is God. Well, there are one exception: Mark 13:32. Its naive interpretation looks like a very strong argument supporting the position that Christ does not know all and therefore is not God. Well, the verse with the issue (Mr. 13:32) “But of that day or that hour no one knows, not even the angels in heaven, nor the Son, but only the Father.” states that Son (that is Christ) does not know the day or hour of the Second Come of Christ. Isn’t it a very strong argument in regard of the position of Arians and Jehovah’s Witnesses? As I assert in the book End of Gospel, Gospel is tricky and we should know a trick to properly understand it. The answer is that Christ knows all except of He does not know Himself. The time of Second Come depends on Christ and Christ does not know things dependent on Himself. This is supported by Bible: (Mt. 11:27) “… No one knows the Son, except the Father; neither does anyone know the Father, except the Son, and he to whom the Son desires to reveal him.” So Son (Christ) is known only by the Father not known by anyone else including Himself. Christ does not know Christ. When saying that Christ knows all, I mean that He knows all except of Himself (that is except of His own decisions). The time of Second Come is dependent on a decision of Christ and Christ does not know His decision ahead of time. This is meant saying that Christ does not know the time of His Second Come. So, OK, Christ knows all about the world but does not know ahead His own decision about the time of Second Come. For I will be merciful to their unrighteousness, and their sins and their iniquities will I remember no more (31:31-34). Now does Jeremiah mean to say that in his mercy God will literally not be able to remember rebellious Israel's unrighteousness and iniquities? No. Jeremiah meant, rather, that one day Israel's God would not hold her sins against her, that those sins would never, ever be brought up against her again. The biblical concept of justification by faith means in large part that once God justifies anyone, or any nation, that justification cannot and will not be reversed. God is not fickle, nor can he go back on his word. All this to say, when Christians say that God cannot do certain things, they do not necessarily mean he is unable to do them but that he chooses not to do them. What is true of God the Father is also true of the Son. The Son, like the Father, chooses not to do some things. The reason for this, I believe, is because of the great deference he ascribes to his Father, whom Jesus described as being "greater than he" (John 10:29; 14:28). I believe in one . . . Lord Jesus Christ, the only begotten Son of God, begotten of his Father before all worlds, God of God, Light of Light, very God of very God, begotten, not made, being of one substance with the Father; by whom all things were made; who for us men and for our salvation came down from heaven, and was incarnate by the Holy Ghost of the Virgin Mary, and was made man; and was crucified also for us . . .. In this foundational creed of the Christian faith, there is no mention of the Son's inferiority to the Father, nor is there any mention of the Father "lording it over" the Son. The Father, Son, and Holy Spirit are one in essence, to be sure, but the way in which each person of the Godhead functions and relates to one another and to the creatures under their Lordship, is in God's DNA, so to speak, from eternity to eternity. In conclusion, Jesus's statement that "only the Father knows" does not mean that Jesus himself is incapable of knowing; rather, the statement indicates he chooses not to know, out of deference to the Father whom he loves and to whose will he submitted in the great self-emptying described in Philippians Chapter 2. The OP has not defined the Trinity in the orthodox catholic way. Thus it leads him to ask the question how the Father knows something the Son does not. What is unorthodox? There are two concerns. One is that God the Father is God the Son. Two that Christ is created. The remainder explains the orthodox catholic position. The earliest proponent of the Trinity is Tertullian. He framed our current understanding some 1,800 years ago. God is one essence in three Persons. See Against Praxeas. This belief is found in the Athanasian Creed. It reads in part this way. So, though it may still be hard to grasp the Trinity of One in Three, to answer the OP question in Tertullian's words "And so, most foolish heretic, you make Christ to be the Father, without once considering the actual force of this name, if indeed Christ is a name, and not rather a surname, or designation; for it signifies “Anointed.”"
PS. So what is unorthodox in the OP question? BTW, this is not to say the OP person is unorthodox, just the OP question. Who knows if the OP understands or not? So why would the question be unorthodox? On its surface, it is saying that Christ is not part of the Godhead. That's false. IOW, if Christ is God, then He would know what is going to happen. Since He doesn't, Christ is a man and not God. That position is unorthodox. But what is the explanation? Tertullian provides an excellent description of the One essence in Three persons. So, for Christ to say I don't know what the Father knows in this instance is to distinguish the two persons, but not in anyway to lesson the single essence that God is one. To amplify the last paragraph, God is the Father, God is the Son, God is the Holy Spirit, but the Father is not the Son, the Son is not the Father, the Father is not the Holy Spirit, the Son is not the Holy Spirit. Not the answer you're looking for? Browse other questions tagged nature-of-god trinity christology hypostatic-union omniscience or ask your own question. How could Jesus be surprised? On what basis do Christians sometimes claim to know what God's intentions are? 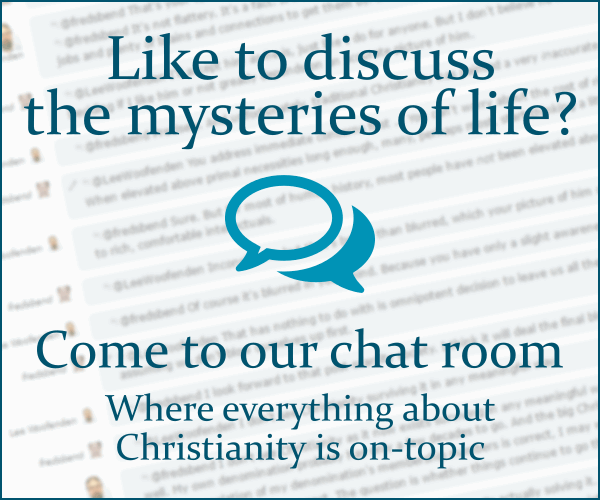 How can we understand Jesus's omniscience? What is the “New Theological Movement” within the Catholic Church? According to the Catholic Church, when Jesus speaks, is he is speaking as a Man or God or both?